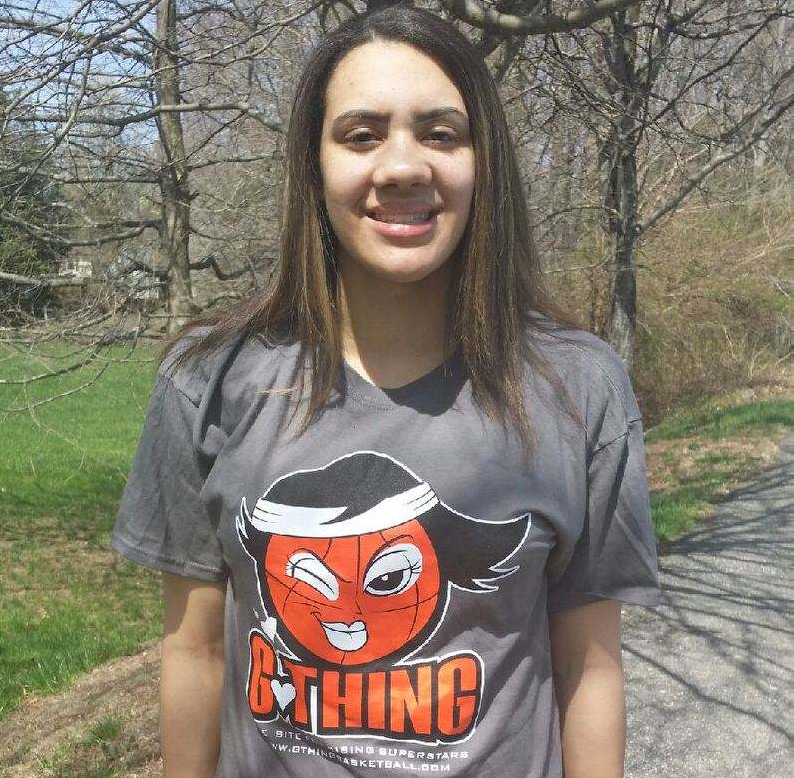 HERE IS THE LIST OF TOP 2016 NEW JERSEY PLAYER'S GTHING HAS SEEN THIS PAST SEASON. 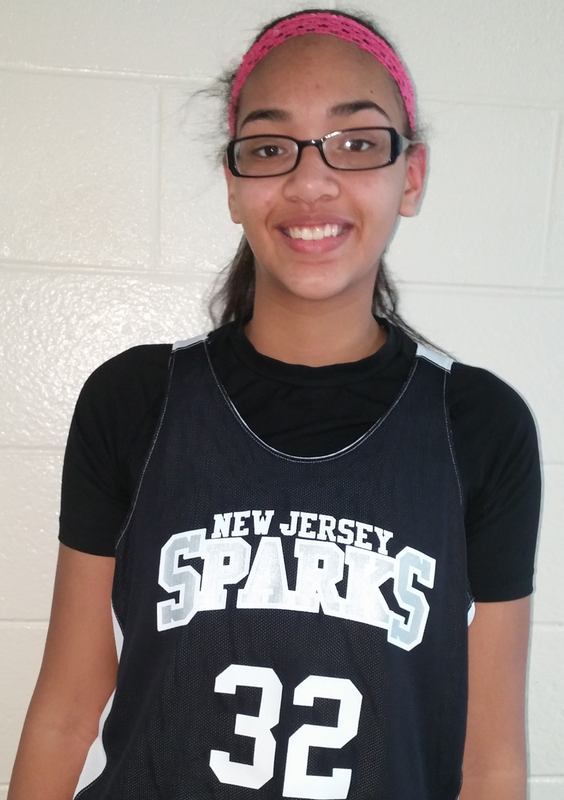 Jordan is one of the most skilled juniors in New Jersey, very versatile who can play with her back towards the basket if she really wants. Wilmoth prefers to play on the wing where she creates a bad match ups for the other team, because of her size Jordan is able to shoot over her opponent with ease, she can take her defender off the dribble because she can handle the ball. Already Committed to Dayton Wilmoth can play the 2 Thur 4 position. Pros: Nice size, can hit the mid-range shot, ball handle, good perimeter play. Cons: might need to develop some low post moves. Yasmeen Nelson 5'8 (PG) Atlantic County Institute Technology HS, NJ - Very Physical guard who will run you over, Nelson scored her 1000 Pt's this year basically doing most of it on her own, she is like a one man band no disrespect to her teammates. 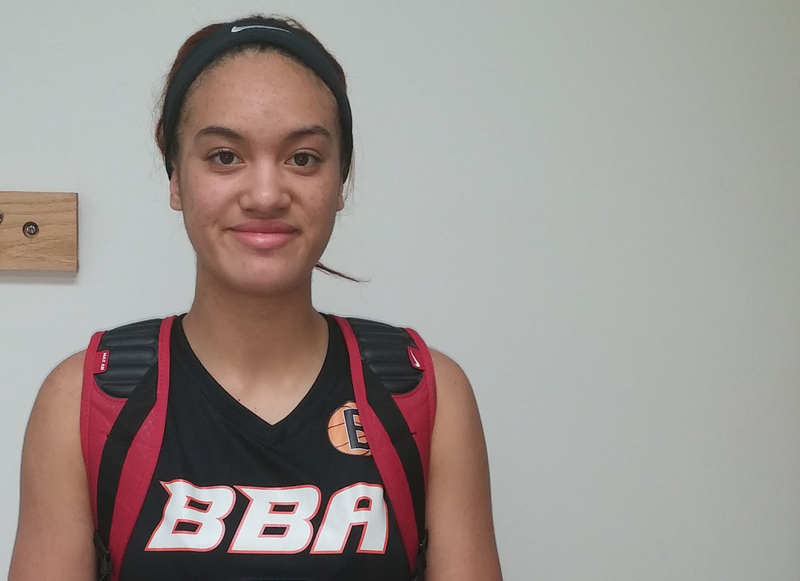 Pros: Good basketball IQ, strong, can get to basket because of her physicality, not afraid to take the big shot, Cons: Needs to get in better shape. 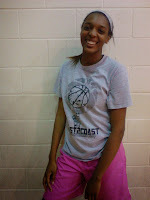 Maddie Simms 6'4 (Post) Lenape HS, NJ - Every time Gthing sees Simms, she keeps getting better in better. The lefty is a monster in the paint Maddie took her team to the South Jersey Group 4 Final where the lost to Shawnee. Pros: Good foot when in the post, has some low post moves, finish at the rim. Cons: needs to be able to hit the mid-range shot, has to go more to her right side. 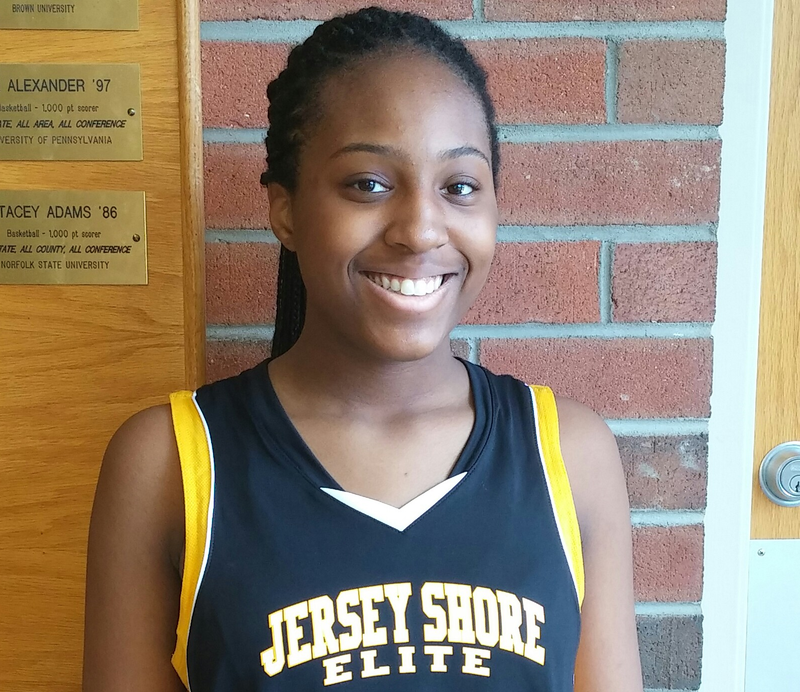 Kelly Campbell 5'10 (Combo Guard) St. Johns Vianney HS, NJ - Straight up floor general right her, Campbell lead St. Johns to a South Jersey Non-Public Championship. Kelly who already committed to Depaul has good court awareness while in transition and can drop buckets all at the same time. Mary Kate Gedaka 6'0 (Wing) Gloucester Catholic HS, NJ - Wing type player who is a triple threat, Mary can hit the mid-range shot and she has a nice arc to go with it. 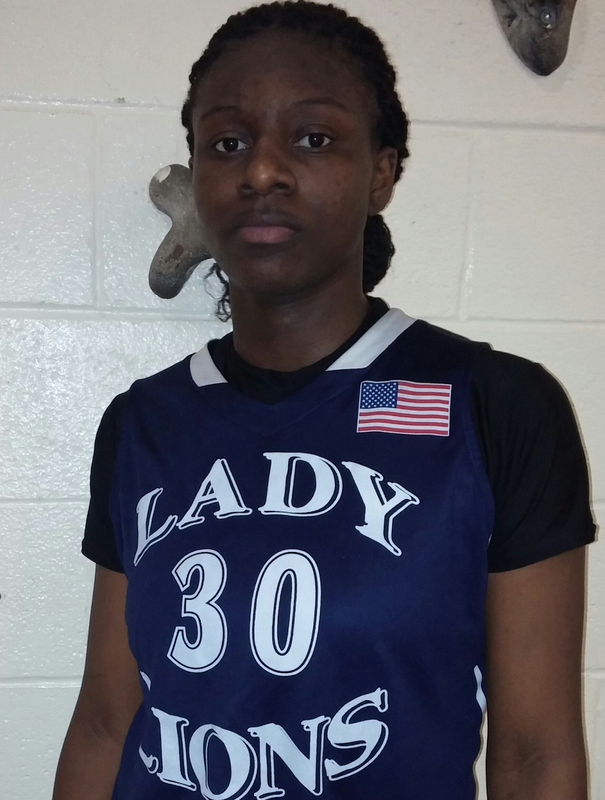 Very quick with her feet on offense and defense, Gedaka has some low post moves which make it hard for defender to guard her because she can put the ball on the floor. 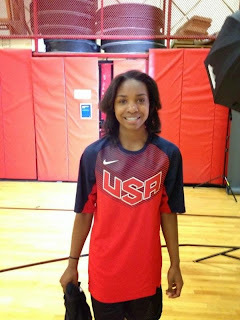 Pros: Ton of moves, quick feet, good speed for her size. 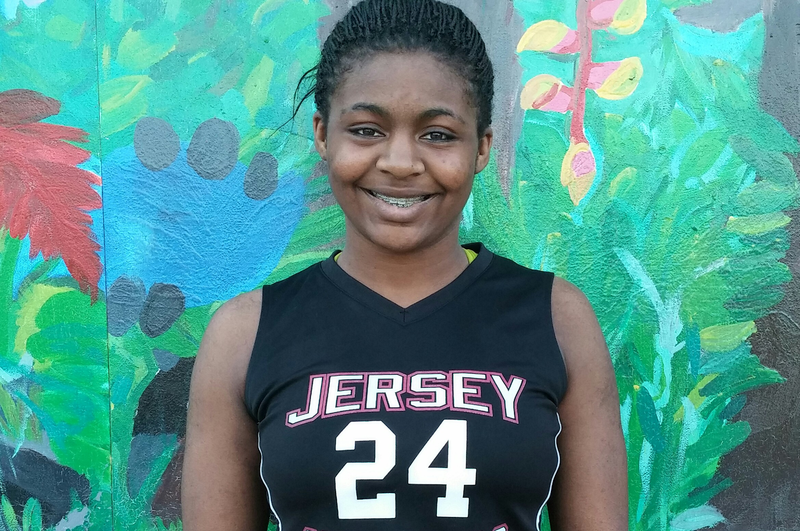 Blair Watson 5'10 (Combo Guard) Nutley HS, NJ - Big Combo Guard who is very versatile who can score in bunch at a time, Smoove type player who does it all, she is mostly effective when on the wing or when the ball is in her hand. Pros: long, Athletic, Scorer. Cons: Learn to take over a complete game because she can. 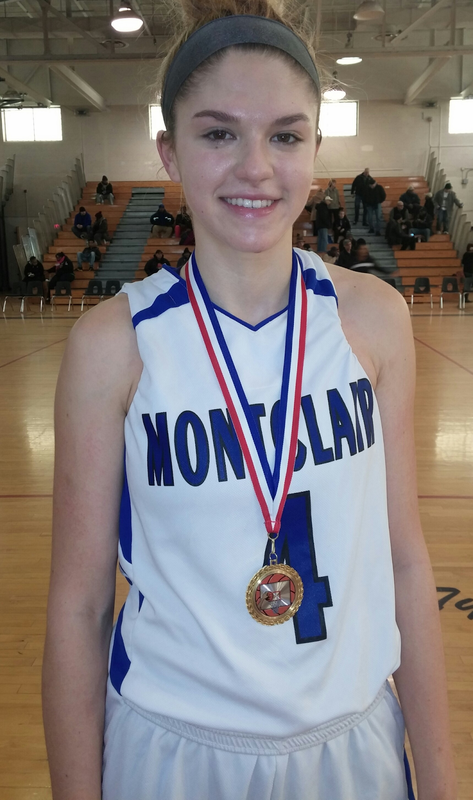 Katie Higgins 5'10 (Wing) Monclair HS, NJ - Mid-range threat who is not scared to shoot, Higgins makes thing look easy when shooting over her defender because of her size. Pros: Good skill set Mid-range game, good rebounder. Cons: ball handle at the next level. 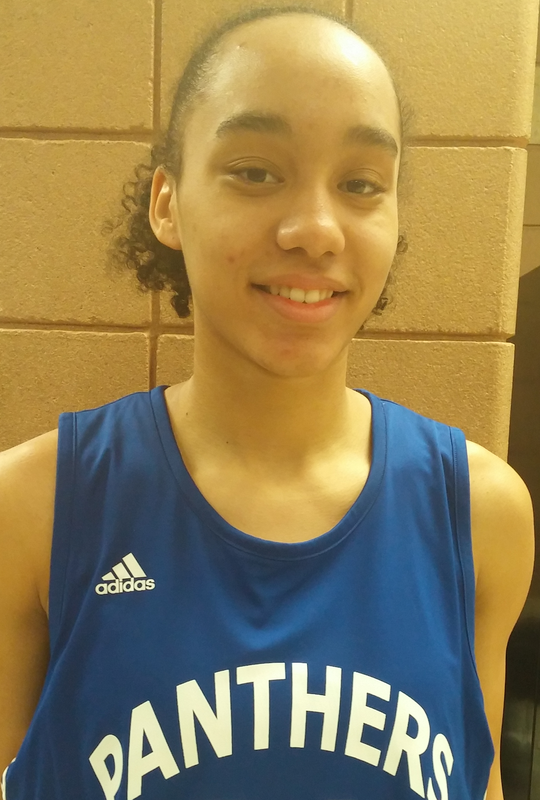 Tera Reed 6'1 (PG) Life Center Academy HS, NJ - Big Long guard with good ball handling skills, Now adjusted to playing in the US Reed has up her game and is being well coached. Pros: good ball handler, can shoot, Nice size and strength. Cons: Needs to attack the basket more. 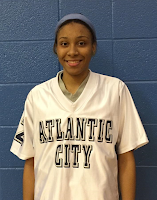 Lajarah Wright 5'8 (PG) Atlantic City HS, NJ - Wright average in double figures mid way Thur the season,she came into her own in some big games. Pros: Quick first step, shifty, High arc on her shot. Cons: Sometimes fades in big games. 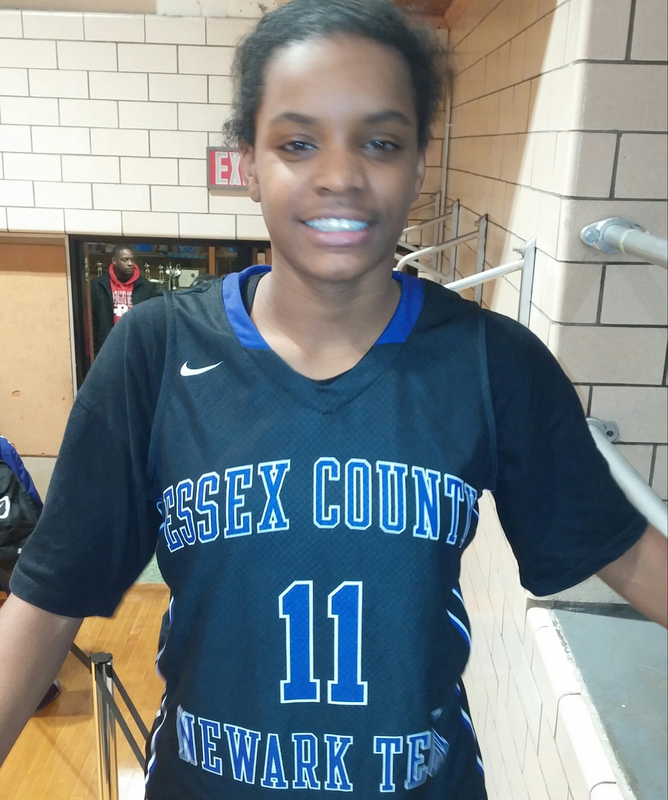 Nyasia Anderson 5'8 (PG) Newark Tech HS, NJ - The lefty has a lot of potential to be good, Combo like guard with enormous ability to the rack, Anderson play a roll in helping Tech captured there first title. Pros: average rebounder, good hops, athletic. Cons: needs to work on going right. 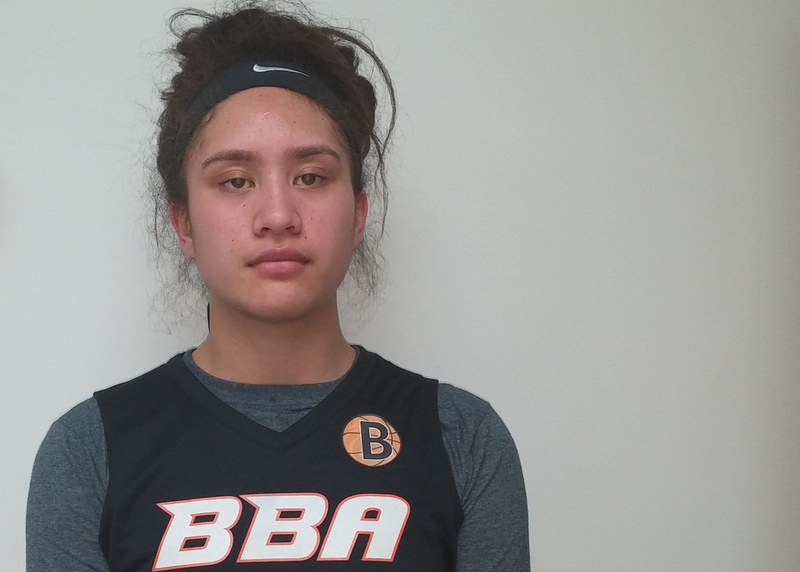 Michelle Nicholls 6'0 (PG) Life Center Academy HS, NJ - Big frame guard Like Reed from New Zealand is adapting to the US style of play is starting to fine her niche. has showed some flashes of being a D1 guard. 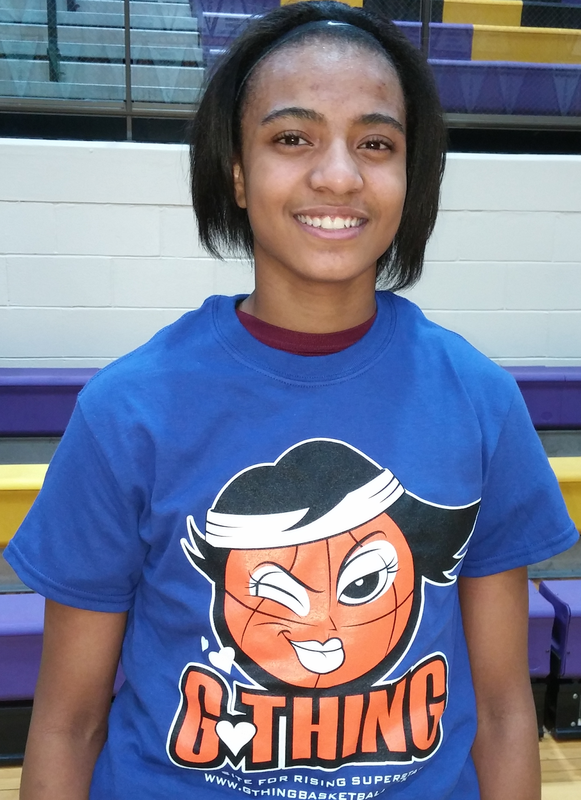 Summer Pierce 5'7 (PG) Timber Creek HS, NJ - Smoove guard who loves to attack the rim, good in the open court and in transition. Pros: Quick, Cons: Has to get a little better jump shot. has to run the offense. Alyvia Essex 5'11 (Wing) Atlantic City HS, NJ - Extremely athletic, this is someone who plays with a lot of heart and emotion. Essex can play the 2 Thur 5 spot because of her athleticism. Pros: Great defender, jumping ability, can shoot the 3 ball. Cons: needs to be able to handle the at next level. has to play under control. 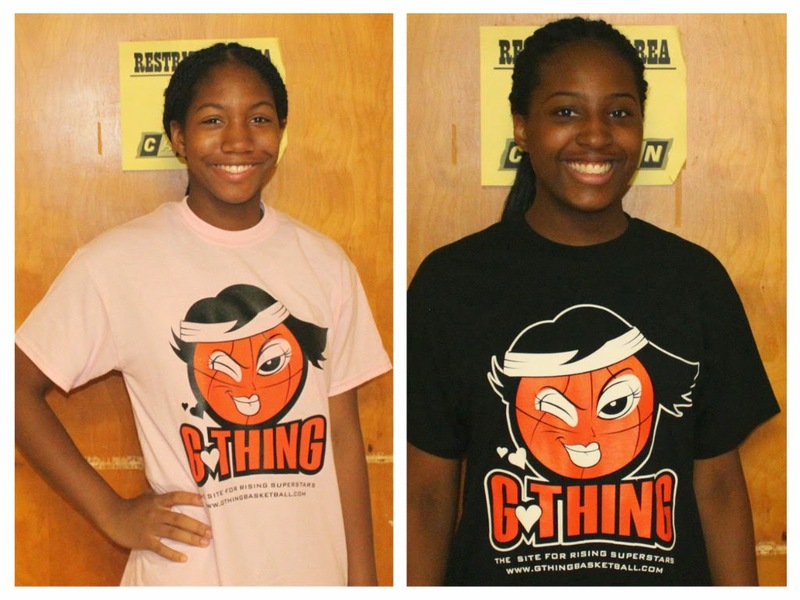 Marvellous Osagie-Erese 5'6 (PG) East Orange HS, NJ - Aggressive guard on both sides of the ball. Pros: Scorer mentality, fast, shifty. Kelly Crouch 5'3 (PG) St.Johns Vianney HS, NJ - Shooting guard who plays with a lot of emotion, Crouch can just about shoot from anywhere on the floor. Pros: Shooter, can handle ball at times. Cons: has to get a little faster at next level. 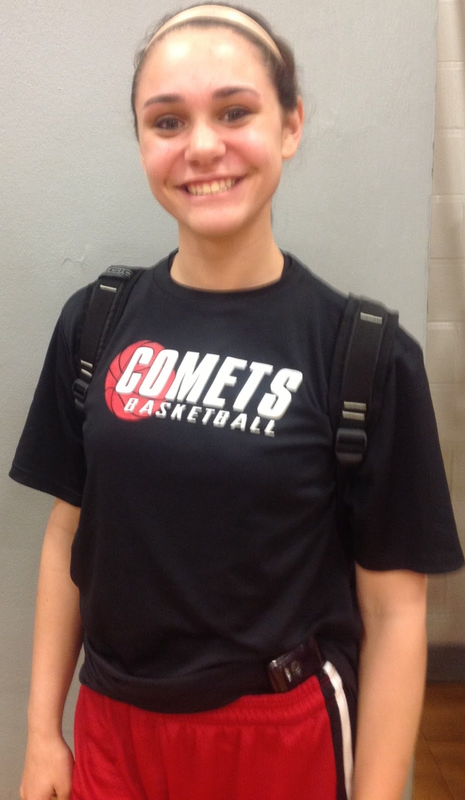 Maggie McIntyre 5'2 (PG) Gloucester Catholic HS, NJ - Point guard who does what she does best at the position. Past first guard, but don't make no mistake about it Maggie can shoot. Lauren is out in Colorado Springs, Colorado doing very well. One of the very few 8th graders that was a applicant to attend, she is holding her own, La has a interview set up for this afternoon with some USA reporters who are out there covering this huge event. 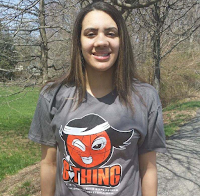 Check back later with Gthingbasketball and we will keep you posted on her journey. ITS OFFICIAL THE CRAWFORD TWINS WILL BE LEAVING EAST NEW BRUNSWICK HS AND TRANSFERRING TO NOTRE DAME HS, EVE AND MARYAM WHO WILL BE SOPHOMORE'S NEXT YEAR SHOULD BE ABLE TO CONTRIBUTE RIGHT AWAY TO A ALREADY TALENTED TEAM IN NOTRE DAME. GTHING WOULD LIKE TO CONGRATULATE SOME OF THE PLAYERS THAT HAVE BEEN FEATURED ON THE WEBSITE FOR BEING INVITED TO ATTEND THE USA BASKETBALL WOMEN'S U16 NATIONAL TEAM TRIALS IN COLORADO SPRINGS, COLORADO. 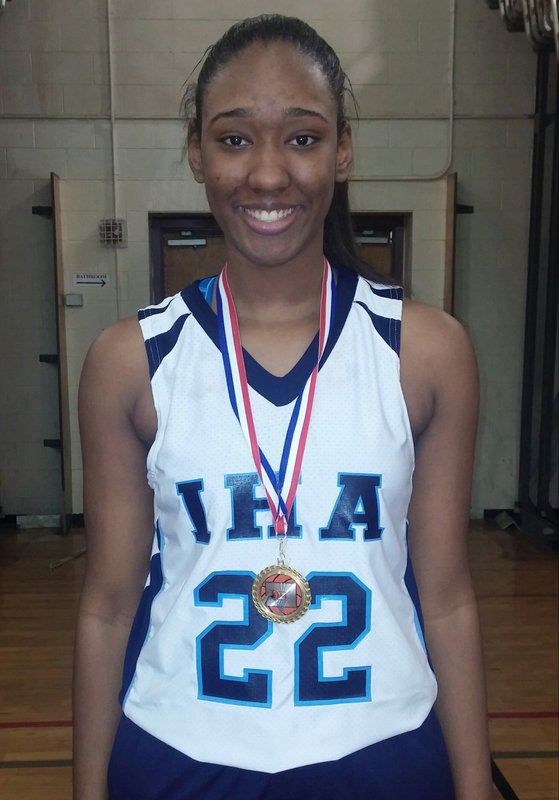 Mirah Perez 6'2 (Rise Academy Charter School) Newark, NJ. 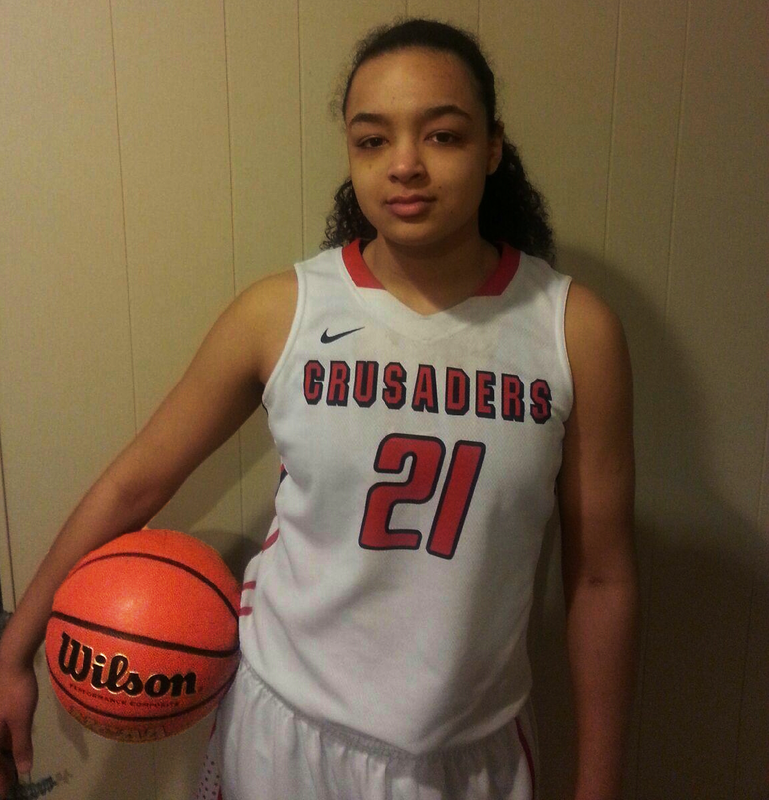 Amira Collins 6'3 (St.Johns College HS) White Plains, MD. Rellah Boothe 6'3 (Potter's House Christian Academy) Jacksonville, FL. Jaala Henry 6'3 (Eleanor Roosevelt HS) Riverdale, MD. HERE IS THE LIST OF TOP 2017 NEW JERSEY PLAYER'S GTHING HAS SEEN THIS YEAR. 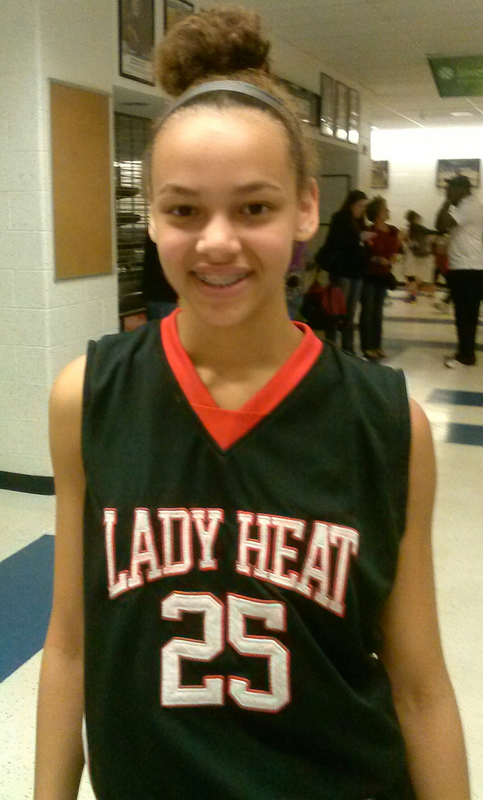 The Bound Brook Sophomore but up some fabulous numbers this year, she did it on the glass in at the basket. Summer's had more than 20 double doubles, she really doesn't have that much help, so Janee'a has to work a lot harder then when the game is on the line. 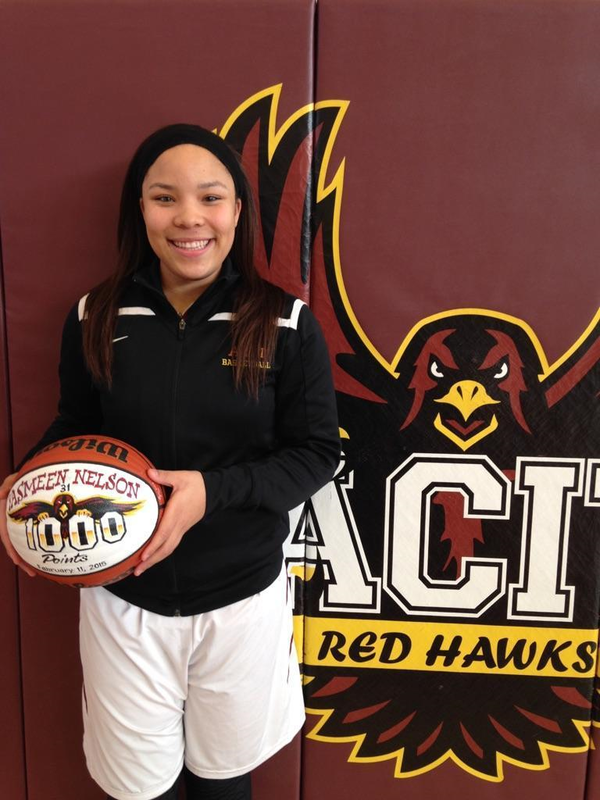 Bound Brook has a really special kid who go's Ham when it comes to rebounding at 5'10 she can play with her back to the basket and can finish strong. 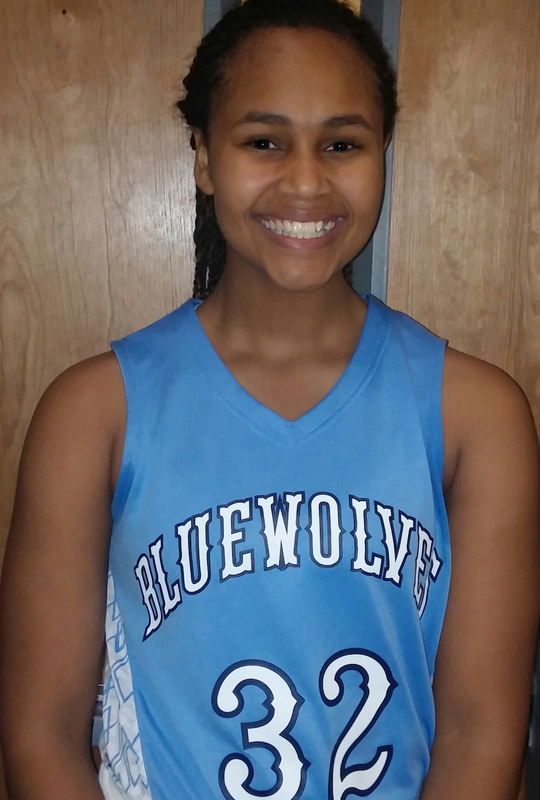 Stella Clark - 5'6 (PG) Manasquan HS, NJ - Stella step up all season for her team and coach Lisa Kukoda, she played a major roll in the Warriors State title and other success they had. 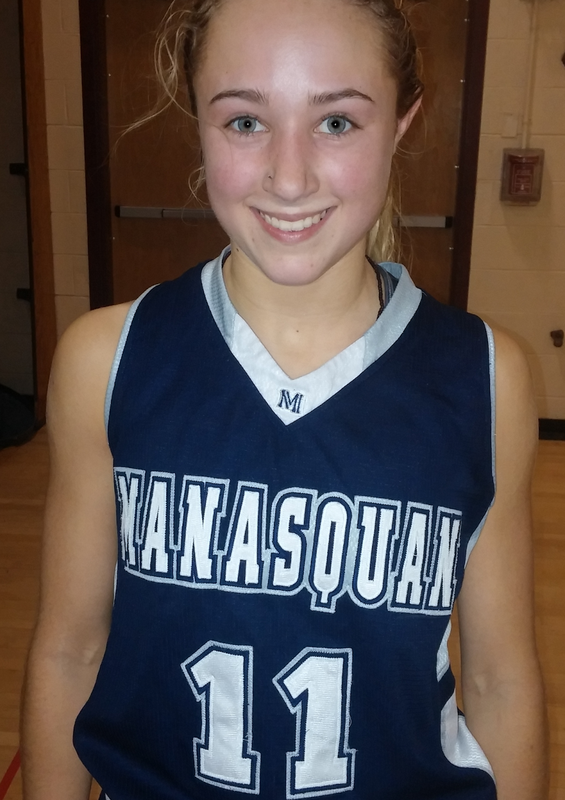 Next year should be here breakout year, teaming up with Dara Mabrey in the back court Manasquan should give the other Shore Conference teams fits. 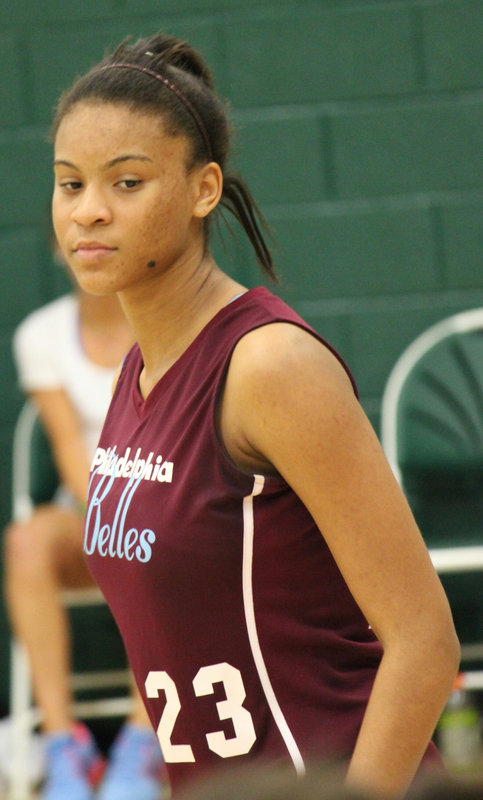 Gabi Redden - 6'2 (FWD) Rutgers Prep HS, NJ - Gabi brought the heat this year, Rutgers Prep is now on the map and doing it big. Gabi played well on the offensive side of the ball, she was able to get to the rack in finish and showing some flashes of great foot work. The whole team is back next year and I know coach Mary Klinger should be excited about that. 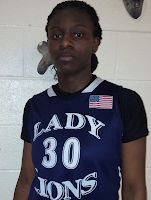 Khayla Latimer - 5'9 (PG) Lodi Immaculate HS, NJ - Kayla was in the spot light a lot this year playing next to McDonald's All-American Samantha Fuehring, Kayla has a major upside with her game she is a combo type guard who is big enough to shoot over her opponent and strong enough to get to the hole. Gracie Sacco - 5'6 (PG) Ocean City HS, NJ - Sacco has been on the radar since grade school, now in High School in one of the top Point Guards in South Jersey. Sacco the Red Raider has great ball handling skills and can go with the best of them. Desiree Allen - 5'9 (PG) Neptune HS, NJ - Allen was the second leading scorer on her team this year, in 2015 -16 Desiree will have to step her game up since the Bacon sisters will be leaving, put it's not like she can't handle her own, real aggressive guard who rebounds well and loves to attack. 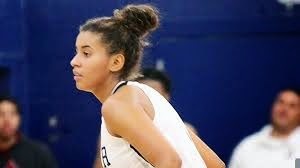 Andra Espinoza-Hunter - 6'0 (PG) Blair Academy HS, NJ - Hunter is regarded as the best in her class right now, already committing to U Conn as a freshman Andra is getting a lot of attention. 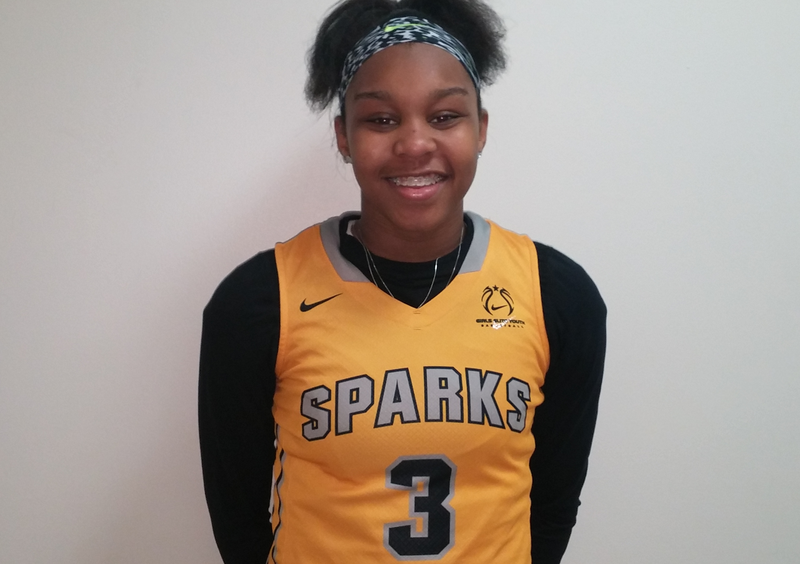 Combo like type guard who loves to play on the wing and spot up in shoot which she does best, athletic, long, loves the wing, long range shooter, spot up shooter.